Megan already shared a 2013 summary of sorts in our online Christmas letter, so I’ll save you a rehash here. But I did want to offer a few thoughts I’ve been thinking between Christmas and New Year’s (possibly my favorite week of the year). Put simply, I’m really glad 2013 is out of here. It was a very hard year, one that I don’t regret, but at the same time one I do not wish to relive again. Foster care, school merging, church planting, another round of husbanding and parenting – all good things that were all hard. Really hard. It was a lonely year. Despite spending the majority of my days with great people at The Academy, we were always at work on something (and trying to be present on three different campuses every week sometimes felt like being present at none). I enjoy the folks in our Wednesday night City Pres group, but seeing them once a week for an hour or two only goes so far. Even with Megan and the girls, the “project” of foster care took its toll on our family dynamics and relationships, and while it built new things in, I would say that we all functioned more as partners than as family at times, doing what needed to get done at the expense of deepening our relationships. This kind of sacrifice is not always bad – we grew in other ways as a result – but I don’t want to repeat it to the same degree in 2014. The “why” behind decisions matters, and even when it should be crystal clear, it still bears repeating. Competence is exhausting if it’s all you’re depending on or leading by. The intellectual vacuum I feel having read so little and consistently this past year is scary. Am I really so out of thoughts without those of others? It would seem so. The forties can be a very dangerous time of coasting on past experiences and successes and relying too much on oneself. Another forties temptation: to claim identity in what I do and not in who I am (and Whose I am). Unfortunately, others are too quick to enable this by labeling and pigeon-holing. Technology continues to both accelerate and rob me of time (and I continue to let it). I barely have an idea of what moderation is (and suffer as a result – diet, overworking, time online, vegging, etc.). Being acknowledged is not the same as being known. I am not particularly healthy, but seem to benefit from hardy genes that don’t require a whole lot to function…for now. Regular periods of quiet are scarce and their absence is scarring my soul. All of a sudden I’m older than many of the parents enrolling at our school and therefore viewed as someone who should know (or know better, depending on the complaint). I do not write enough thank you notes (but not because I do not have reasons to do so – God is so good to me, as are His people). The older I get, the harder it becomes to acknowledge how much I still have to learn (humility ages so much better than does pride). Megan and I are still (somehow) married after 17 years. Our kids still seem to love and enjoy us (and we them). Our family is still caring about caring for people. We successfully merged two schools into one. City Pres is growing and purchased a great building in downtown Oklahoma City. We are still seeking to believe and care about God (though we fail by the minute). But that was last year, and this is this year. And today is the first day of 2014, and tomorrow will be the second. One would think I would have learned more than I have by now, yet I feel the weight of all that I still have not (or at least what I imagine I have not). So, let the learning continue. 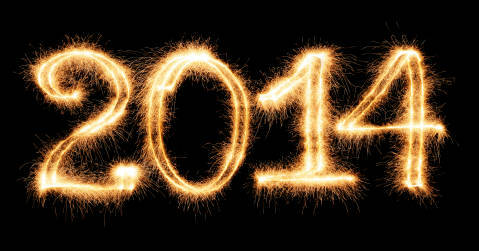 And to those whom God will use to teach/re-teach me in 2014, thanks for having God’s best interests for me in mind. And sorry I can be stubborn. I’m still learning.